Missouri's citizens can propose ballot questions through the initiative petition process to change state law. Citizens draft language, which goes through several steps before being circulated for signatures and potentially placed on a ballot for voter approval. More information on the process may be found on the Secretary of State website. In creating the fiscal note, the State Auditor’s Office consults with state and local government entities, and may consult with others with knowledge pertinent to the cost of the proposal. Those who support or oppose a proposed measure may submit statements of fiscal impact estimating the cost of the proposal to the State Auditor’s Office. The State Auditor’s Office must receive all statements of fiscal impacts from proponents and opponents within 10 days of the Secretary of State sending the proposed petition to the State Auditor’s Office to be included in the final fiscal note and fiscal note summary. Upon receiving information about the cost of the proposal, the State Auditor’s Office evaluates the information received, prepares the fiscal note and summarizes the fiscal note in the fiscal note summary. The summary can be no more than 50 words and cannot be argumentative or likely to create prejudice for or against the proposal. Within 20 days of receiving the proposed petition, the State Auditor’s Office sends the fiscal note and fiscal note summary to the Attorney General. Within 10 days, the Attorney General approves the legal content and form of the fiscal note summary. 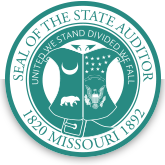 After the certification by the Attorney General, the State Auditor’s Office sends the final fiscal note and fiscal note summary to the Secretary of State. The State Auditor’s Office is currently working on the fiscal notes for the petitions listed below.